A year of big performances, big venues, big voices, and big ovations. Here’s a look at my favorite music photos from 2018. Applause to all! 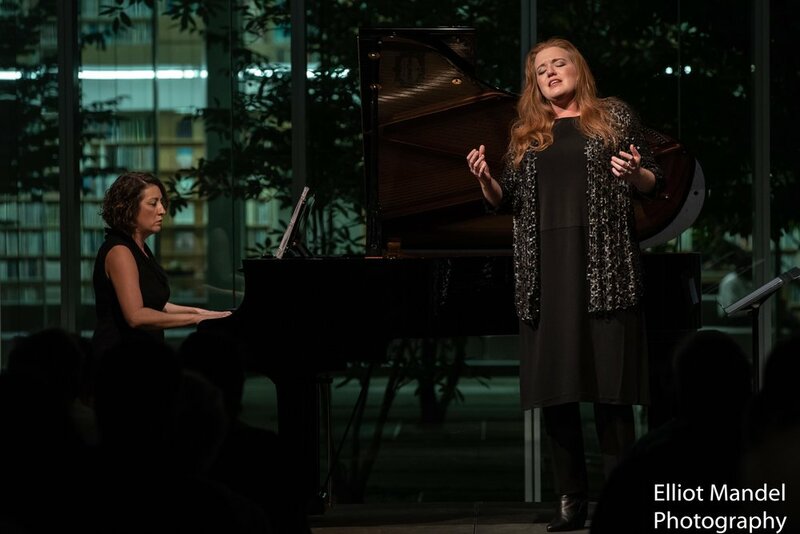 Mezzo-soprano Jennifer Johnson Cano and pianist Shannon McGinnis open the 2018 Collaborative Works Festival (Sept 5, 2018). Pianist Pierre-Laurent Aimard accepts the ovation at University of Chicago (March 6, 2018). 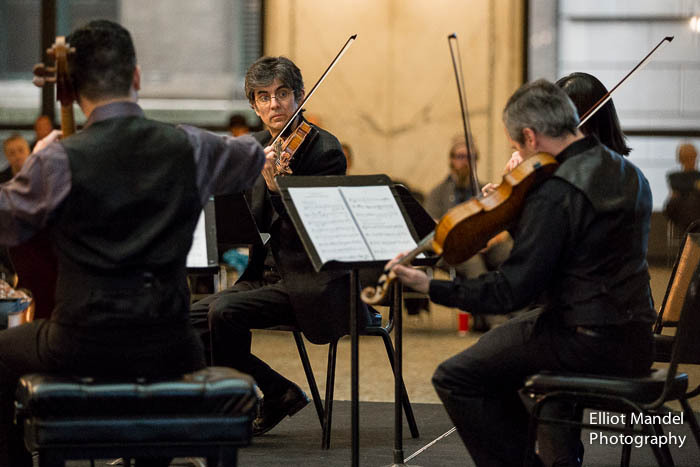 Jane Glover leads Music of the Baroque in its Millennium Park debut (Sept 12, 2018). 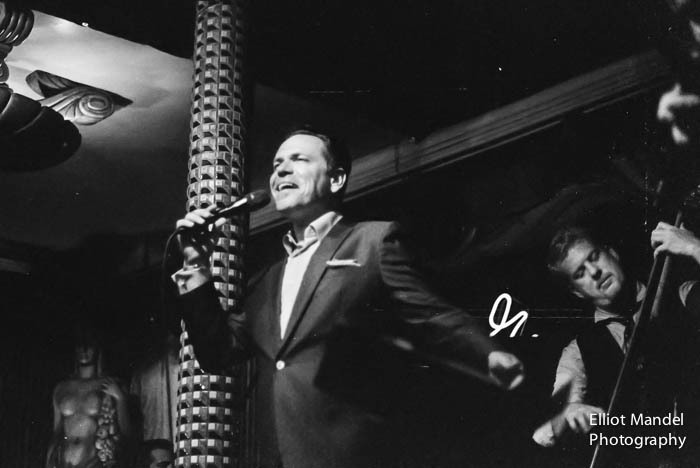 Kurt Elling in full voice at a packed Green Mill (June 22, 2018). Chicago Children’s Choir belting it out in Millennium Park (May 24, 2018). 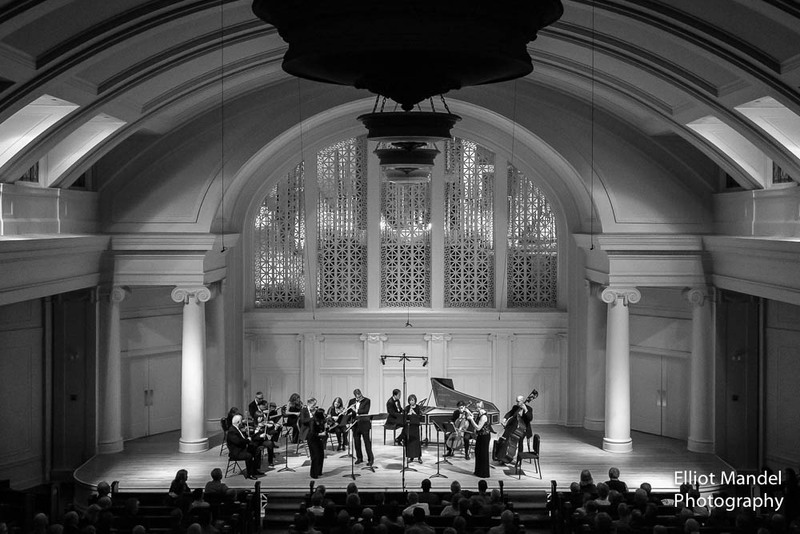 Fourth Coast Ensemble opens its 5th season in Frank Lloyd Wright’s stunning Unity Temple (Nov 2, 2018). Soprano Nicole Cabell and pianist Craig Terry melt all the hearts Beyond the Aria (May 17, 2018). Bella Voce stand and sing as one during their annual gala at the Museum of Contemporary Art (May 19, 2018). Axe-slingin’ at the annual Bitter Jester Music Festival (July 4, 2018). Victor Yampolsky and the Northwestern University Symphony Orchestra after a blistering Mahler 5 (Feb 3, 2018). I found a neat little corner at the Copernicus Center for this angle on Scott Speck and the Chicago Philharmonic’s season opening concert (Nov 10, 2018). Eric Snoza is the bassist in blue for Daren Hagen’s “Orson Rehearsed” (Sept 14, 2018). 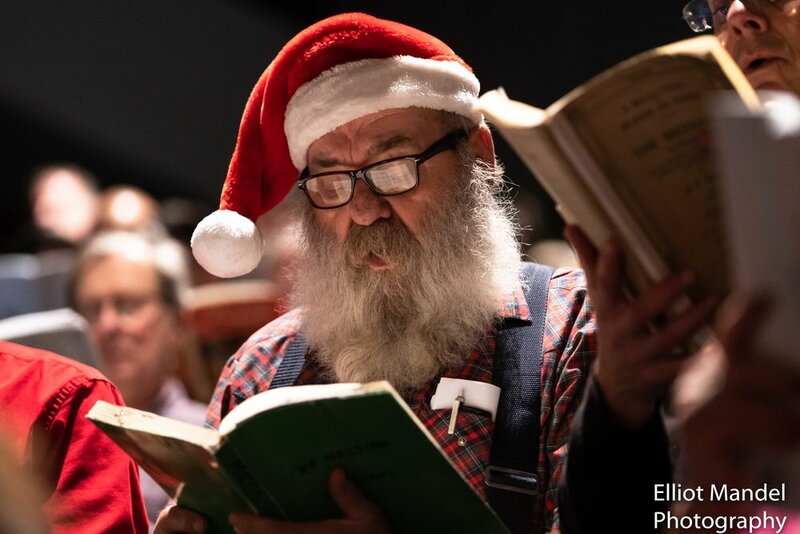 Stephen Burns and the Fulcrum Point New Music Project’s annual Concert for Peace at Harris Theater (Dec 19, 2018). 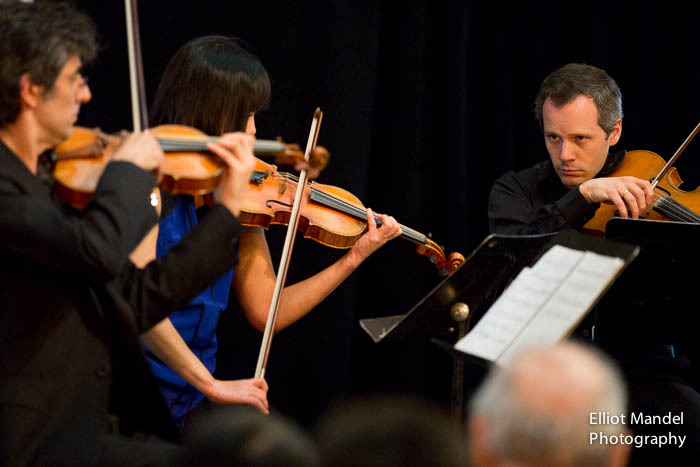 Vladimir Kulenovic leads the Lake Forest Symphony in some swooning Debussy (Nov 9, 2018). 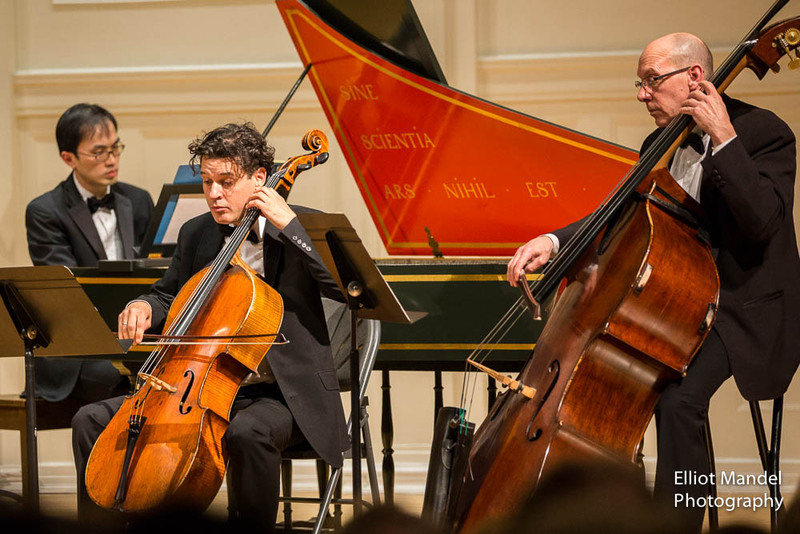 The Zukerman Trio headlines the Music Institute of Chicago’s gala weekend (May 20, 2018). …Applause for Mr. Claus. (Dec 17, 2018). If there's a way to sum up the start of 2018, it's that I photographed some pretty awesome and beautiful things. The year started off with a Supermoon in sub-zero temps. After the feeling returned to my fingers, I drove out to the Mississippi River to watch the bald eagles before concert season picked up again. 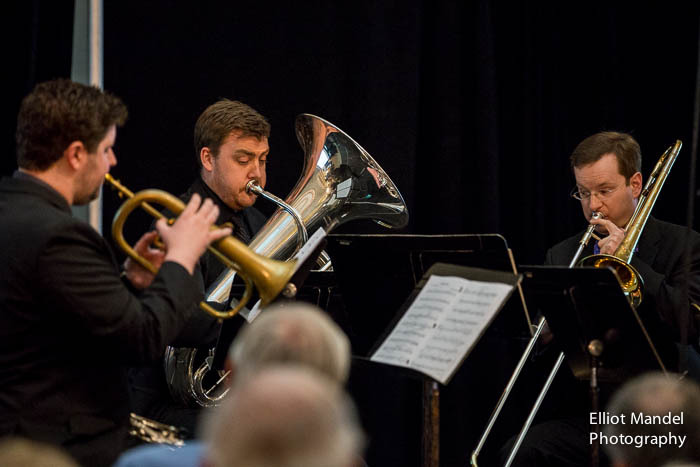 I spent a dress rehearsal with the Lake Forest Symphony; covered the Northwestern University Symphony Orchestra's final concert before its China tour; and shot the Chicago Philharmonic (with two pianos!). The Northwestern University Jazz Orchestra - with Victor Goines and Don Vappie - blew out the best Mardi Gras tunes north of New Orleans. I shot my first concert for the Harris Theater on the stage of the Pritzker Pavilion in Millennium Park, and watched in amazement while pianist Pierre-Laurent Aimard performed Ligeti and Beethoven before a rapt audience at the University of Chicago. 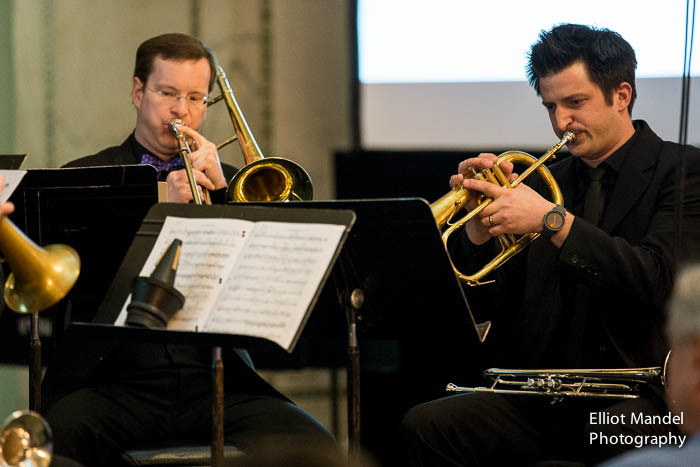 Fulcrum Point New Music Project closed March with a rollicking performance of music by Wynton Marsalis. Now, on to spring! A Supermoon rises over Lake Michigan on January 1, 2018. A bald eagle hunts over the Mississippi River in Davenport, IA, January 13, 2018. 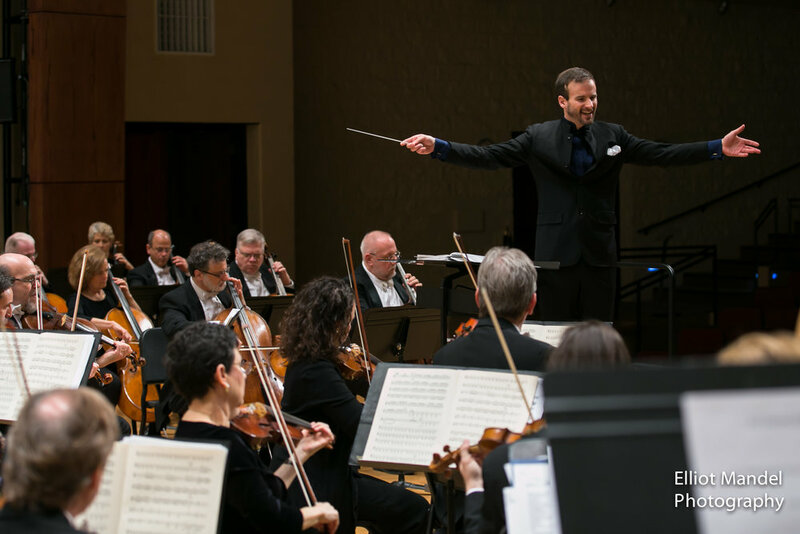 Vladimir Kulenovic leads the Lake Forest Symphony, January 24, 2018. Victor Yampolsky leads the Northwestern University Symphony Orchestra before a packed house at Pick-Staiger Concert Hall, February 3, 2018. 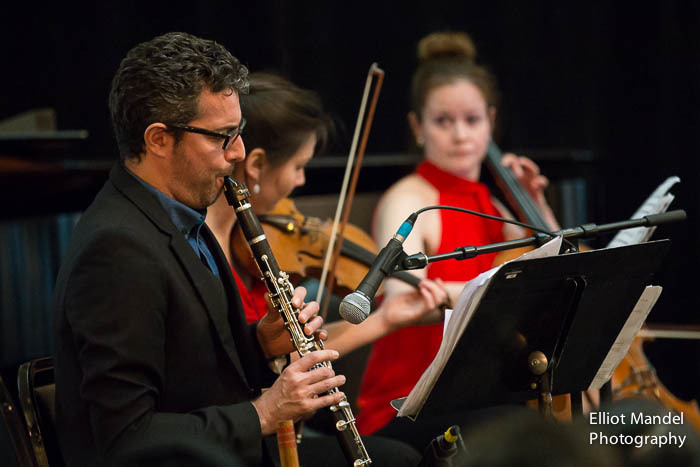 Victor Yampolsky and the Northwestern University Symphony Orchestra, February 3, 2018. Scott Speck leads the Chicago Philharmonic in Saint-Saens' "The Carnival of the Animals," March 4, 2018. Victor Goines leads the Northwestern University Jazz Orchestra on Mardi Gras, February 13, 2018. 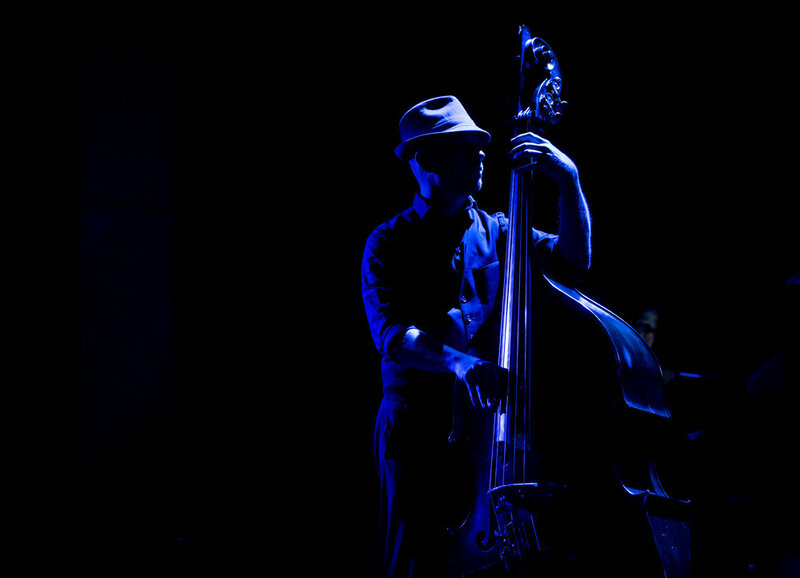 New Orleanian Don Vappie performs with the Northwestern University Jazz Orchestra on Mardi Gras, February 13, 2018. NUJO leads the second line parade on Mardi Gras, February 13, 2018. 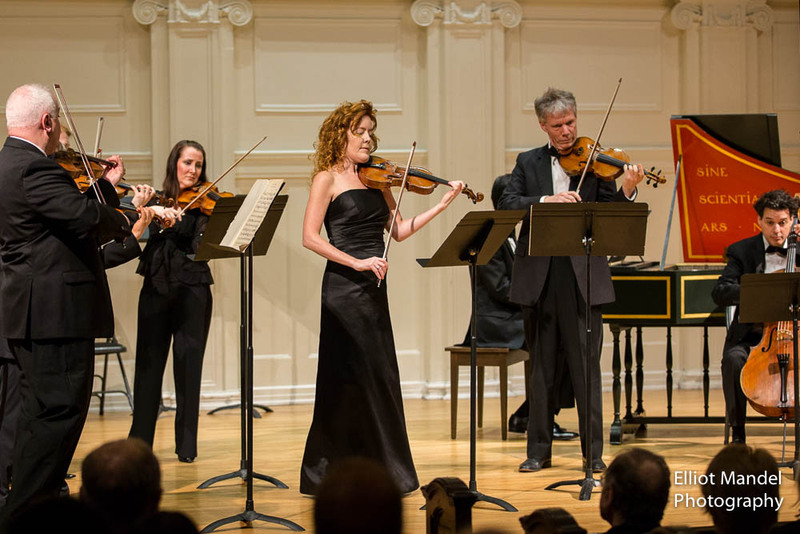 Harris Theater presents "Beyond the Aria" with Heidi Stober, Lindsay Metzger, Andrew Stenson, and Craig Terry at Millennium Park, March 1, 2018. Pianist Pierre-Laurent Aimard takes a final bow after his solo recital for University of Chicago Presents, March 6, 2018. 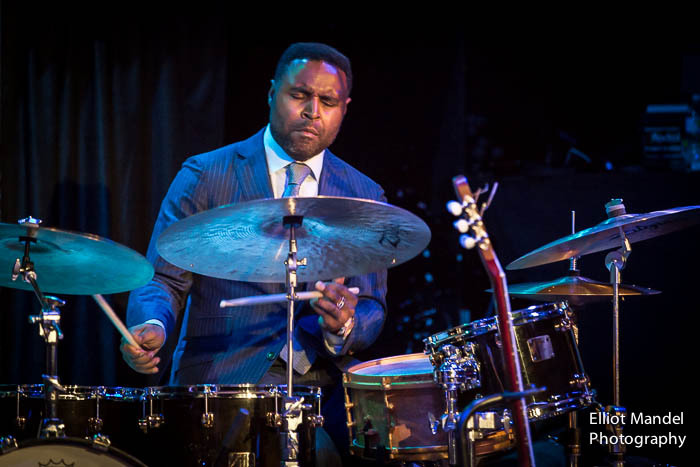 Stephen Burns and Fulcrum Point New Music Project perform music by Wynton Marsalis at The Promontory in Hyde Park, March 28, 2018. This was a wild ride of a year. I shot tons of fabulous music. Philip Glass signed my photo of Philip Glass playing Philip Glass. 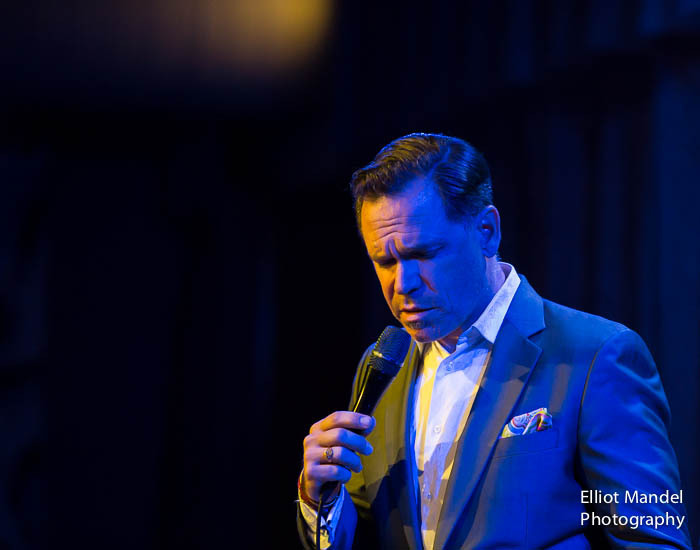 I covered Kurt Elling in the studio and created his latest batch of publicity portraits. Spektral Quartet's album "Serious Business," which includes my cover photo, was nominated for a Grammy. I sat next to Justice Ruth Bader Ginsburg for 15 seconds. I gazed at the Milky Way from the tiny island of Islesford, Maine. 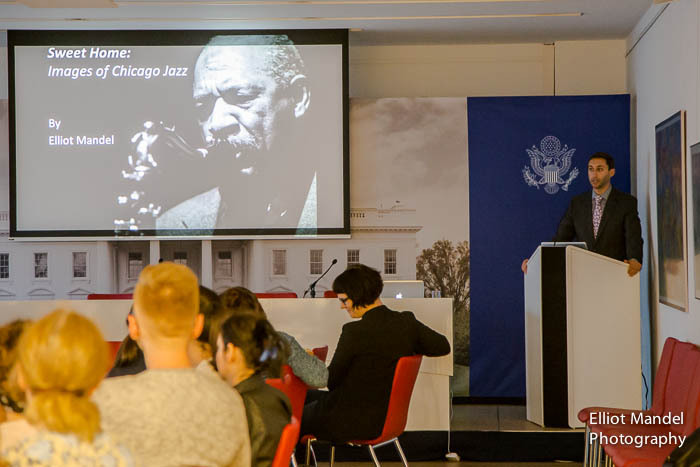 And right in the middle of it all, I presented my jazz photography portfolio at the American Embassy in Vienna, Austria. Thanks to all of you for being a part of a wonderful 2016! Enjoy this gallery of a few of my favorites. Kurt Elling in studio recording "The Beautiful Day"
Kurt Elling's "The Beautiful Day"
What a thrill to hang with the incomparable Kurt Elling and his band last week. 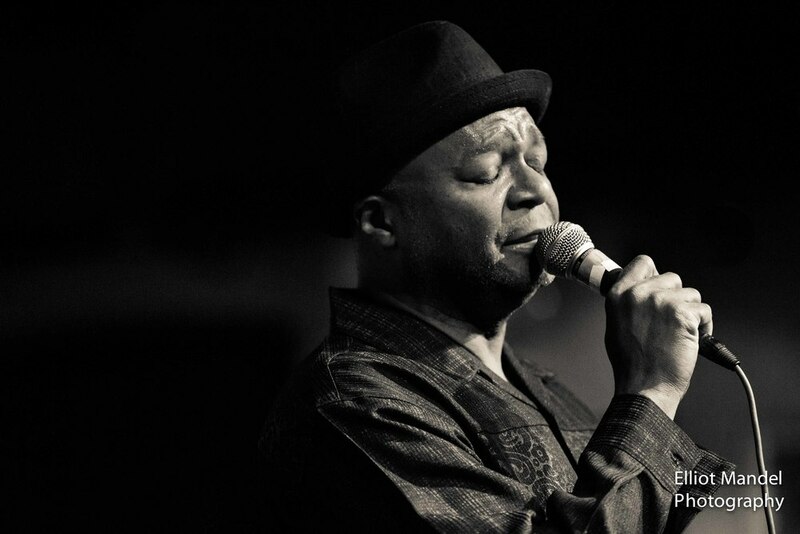 One of the best voices in jazz, a top-rate entertainer, and overall good guy. He welcomed me into his dressing room at City Winery - fresh off his all-star performance at the White House for International Jazz Day - and let me fire away during two high-flying shows. I joined Elling and company in the studio a few days later to document some of the recording of their upcoming holiday album. 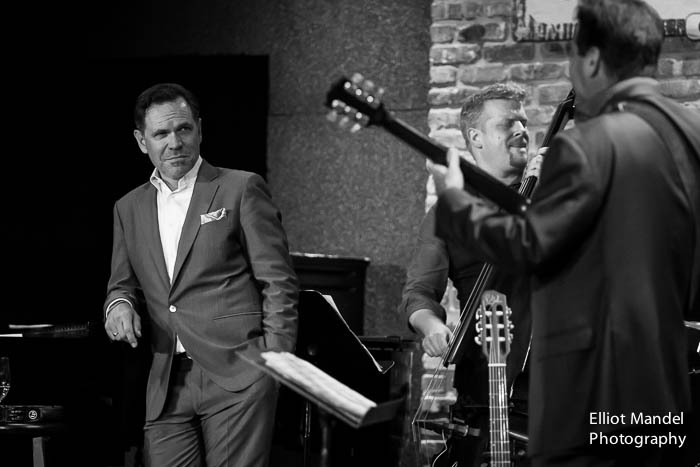 Pictured: Kurt Elling, vocals; John McLean, guitar; Stu Mindeman, keys; Clark Sommers, bass; Kendrick Scott, drums. Photos © copyright 2016 by Elliot Mandel. All rights reserved. L-R: Producer Rob Mounsey, John McLean, Clark Sommers, Kendrick Scott, Stu Mindeman, engineer Vijay Tellis-Nayak, Kurt Elling at Transient Sound Studios, Chicago. Congratulations to the Spektral Quartet on throwing one helluva party to celebrate the release of Serious Business! Not every day do I walk into a job to see my photo blown up on the big screen. And it's not just any quartet that can make the audience sit on whoopie cushions in unison. I was honored to be a part of this project, and I cannot recommend this album enough. Brilliantly recorded and performed, the music explores the concept of humor in classical (whatever that means) music. Mayne Stage, Chicago, 1.29.16. All photos © Copyright 2015 by Elliot Mandel. All rights reserved. 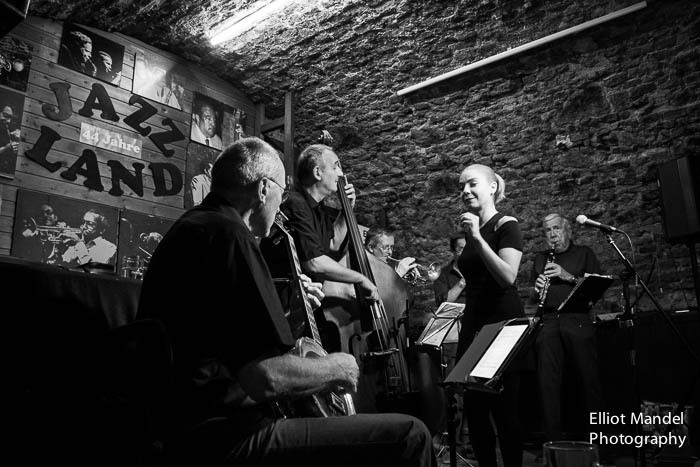 Jazz and photography. I love them both. Here are my favorites from the year. Photos © Copyright 2015 by Elliot Mandel. All rights reserved. 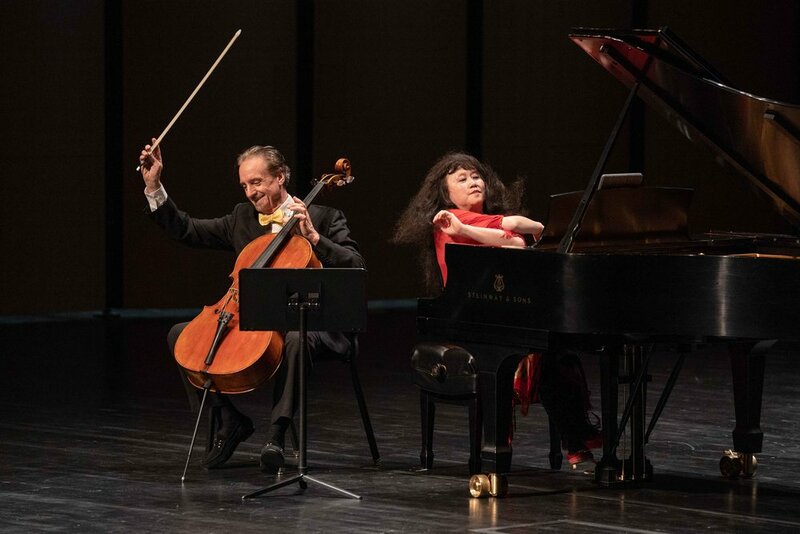 What an honor to cover the intense and exquisite Stephen Hough in recital at the new and acoustically perfect Galvin Recital Hall at Northwestern University. Photos from December 3, 2015. The Chicago Children's Choir is the best. They have the most fun. 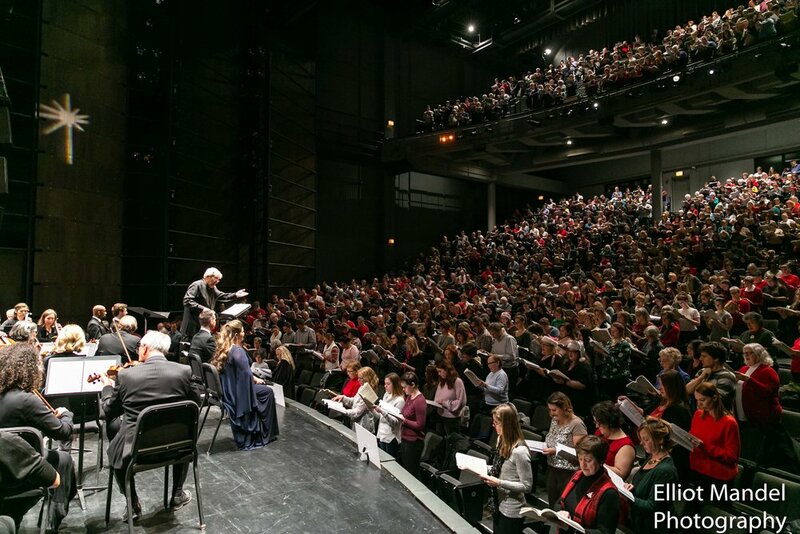 Photos from December 7, 2015 at Harris Theater. 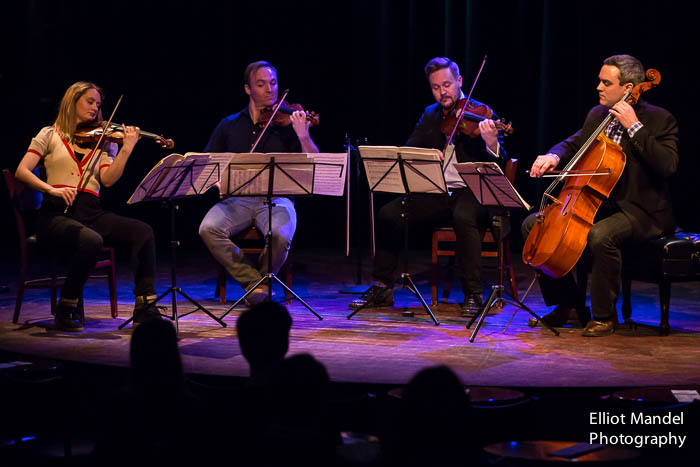 Throughout my work with the Collaborative Arts Institute of Chicago, I've been introduced to one of Chicago's newest vocal quartets, Fourth Coast Ensemble. I've shot the individual members of 4CE in several master classes and coachings, and it was a pleasure to shoot their performance of music by Lita Grier and Ned Rorem at Ganz Hall with pianist Dana Brown. Pictured: soprano Karen Ann Baron; mezzo-soprano Bridget Skaggs; tenor Zach Vanderburg; baritone Zach Angus. One of my favorite recitals of 2015 came on November 6 when soprano Juliet Petrus and pianist Lydia Qiu gave the Chicago launch of their debut CD of beautiful and rarely performed Chinese art song. I was thrilled to have shot the cover (my first album cover!) and additional artwork; check out the original photo. Our collaboration inspired me to do some of my best work of the year. 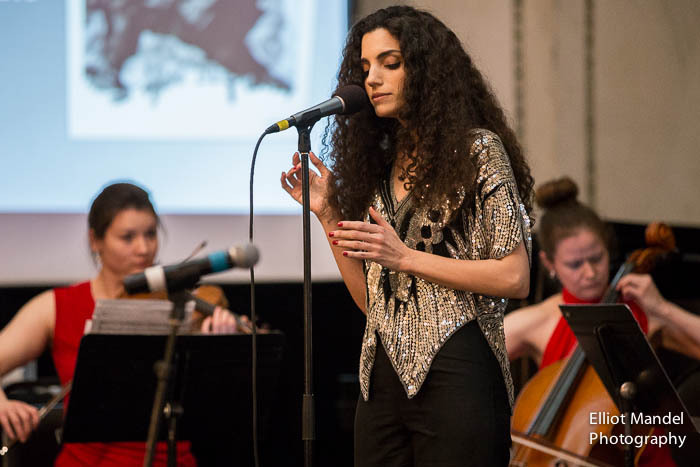 Juliet and Lydia gave an intimate and eloquent performance that night at PianoForte Chicago. As a bonus, the event featured two galleries of my work: some black-and-white studies of the staircase at the Art Institute where we did the cover shoot, and an exhibit of 15 scenes of Chicago cityscapes and new work from Chinatown. You can watch the entire recital here. And you can buy A Great Distance on Amazon, CDbaby, or itunes. 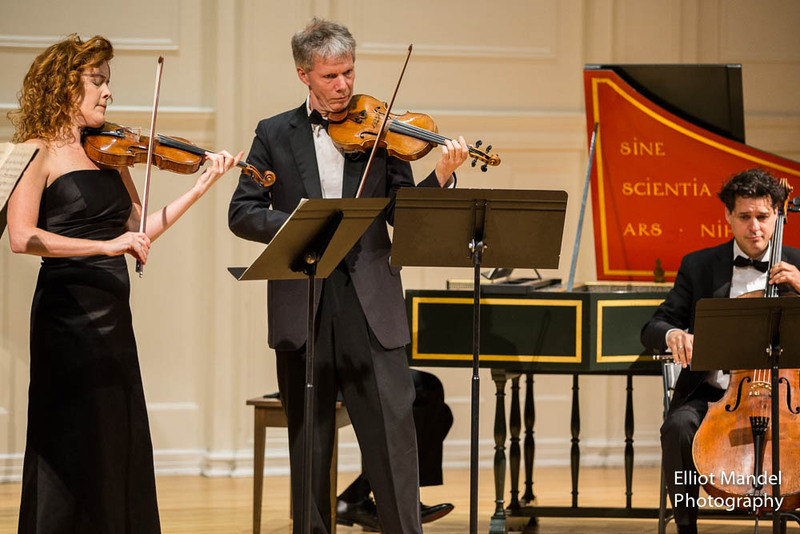 The 51st season of the University of Chicago's Contempo series opened on October 27, 2015 with a program celebrating its recently retired artistic director, Shulamit Ran. 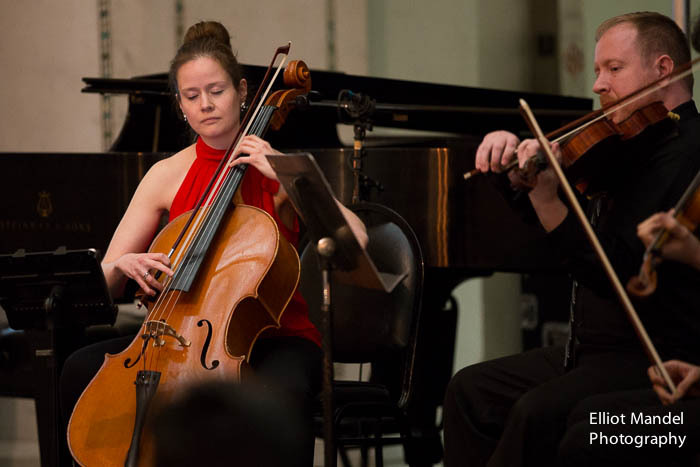 The towering music was given probing and gutsy performances by U of C ensembles-in-residence Pacifica Quartet and eighth blackbird with mezzo-soprano Julia Bentley. New artistic director Marta Ptaszyn'ska joined Ran on stage as longtime colleagues and friends. 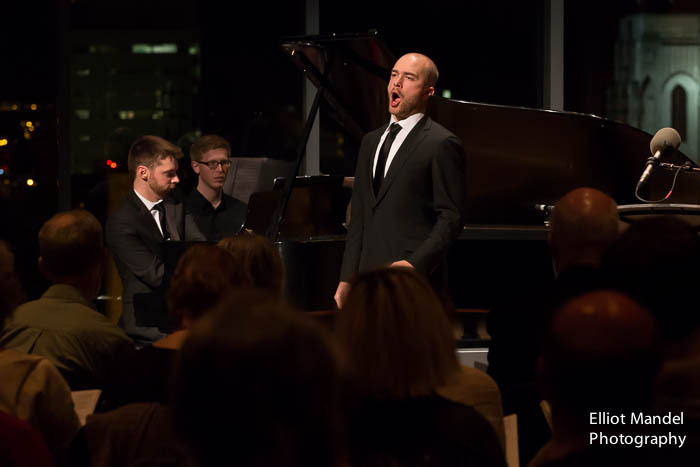 My third season shooting for the Collaborative Arts Institute of Chicago (CAIC) kicked off last week with the 2015 Collaborative Works Festival and four days of fantastic singing. It's an incredible privilege to have such close access to these singers; here are some of my favorite images. 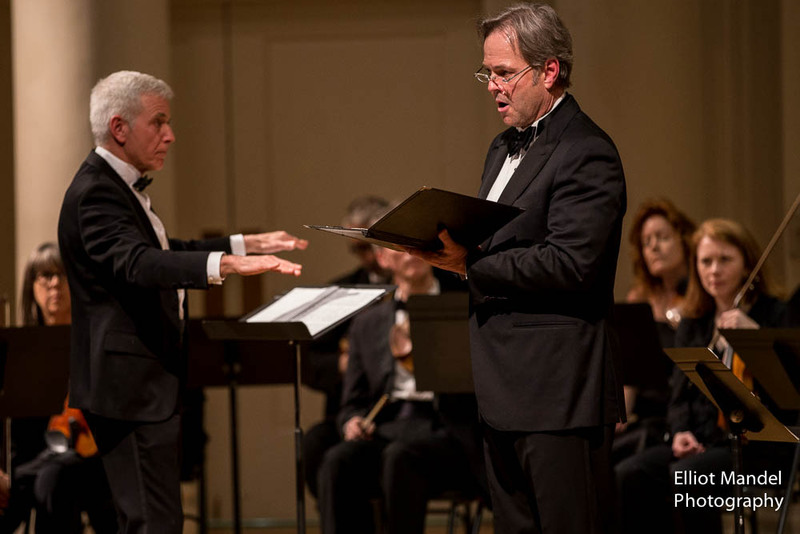 Bass-baritone Luca Pisaroni with pianist Craig Terry. Tenor Nicholas Phan and pianist Shannon McGinnis. Soprano Nicole Heaston and pianist Michael Brown. Soprano Laquita Mitchell and pianist Shannon McGinnis. Tenor Nicholas Phan and pianist Michael Brown. Soprano Nicole Heaston and pianist Shannon McGinnis. Soprano Laquita Mitchell and pianist Michael Brown. 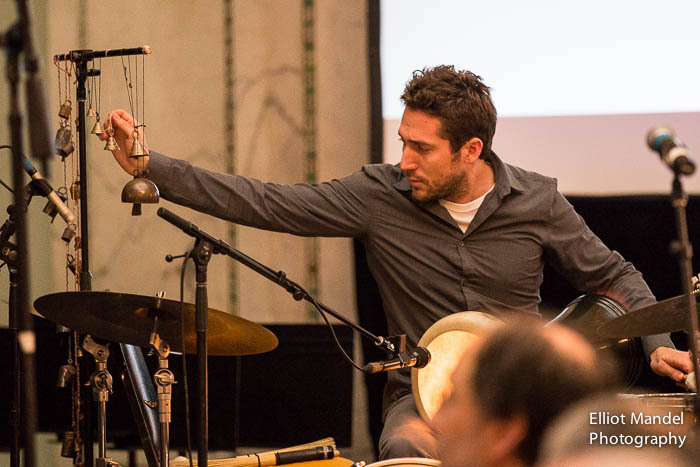 Scenes from a hard-hitting concert with Fulcrum Point at the Poetry Foundation. Kevin Coval's between-the-eyes eloquence in his own work matched the tone Allen Ginsburg's "Howl," set to music by George Flynn. 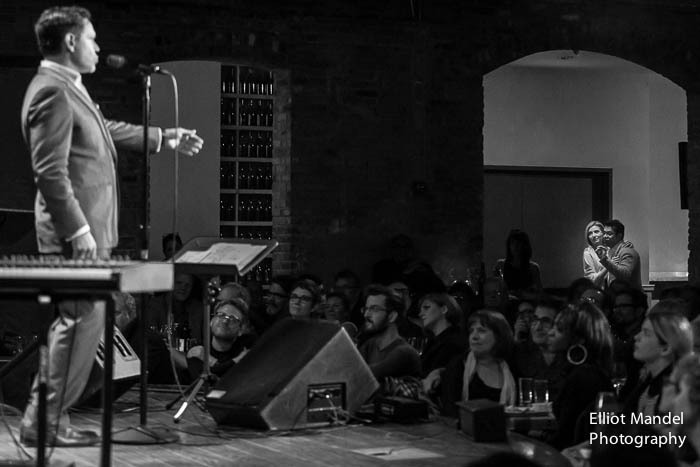 The otherwise intimate setting could barely contain the force of Jerome Kitzke's "Mad Coyote Madly Sings." 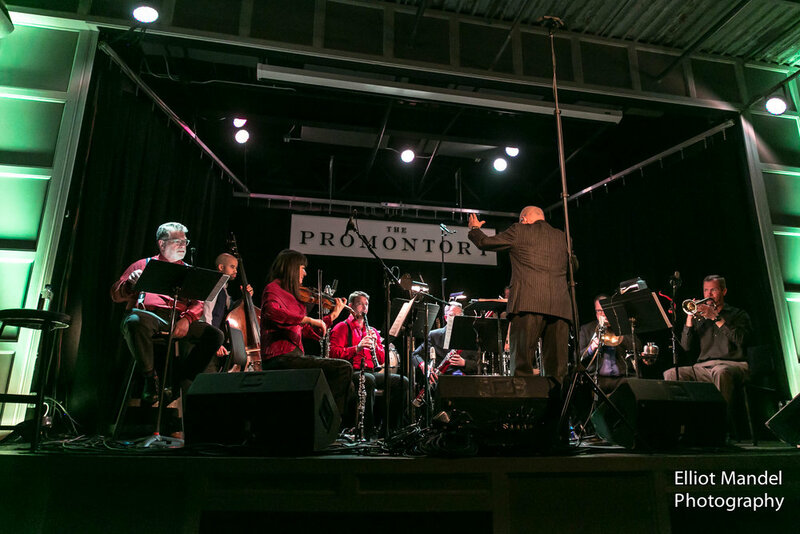 Pictured are Stephen Burns (trumpet/conductor), Kevin Coval (poet/narrator), Wagner Campos (clarinet), Jeremy Ruthrauff (sax), Kuang-Hao Huang (piano), Doug Perkins (percussion), Rika Seko (violin), Sophie Webber (cello), Collins Trier (bass), Juliet Petrus, Joelle Lamarre, and Brad Jungwirth (vocals). The Pritzker Pavilion at Millennium Park is a surprisingly large space when you're trying to cover every angle for a very large choir. But it's a pretty big thrill to get the all-access wristband that allows you to shoot from the stage. 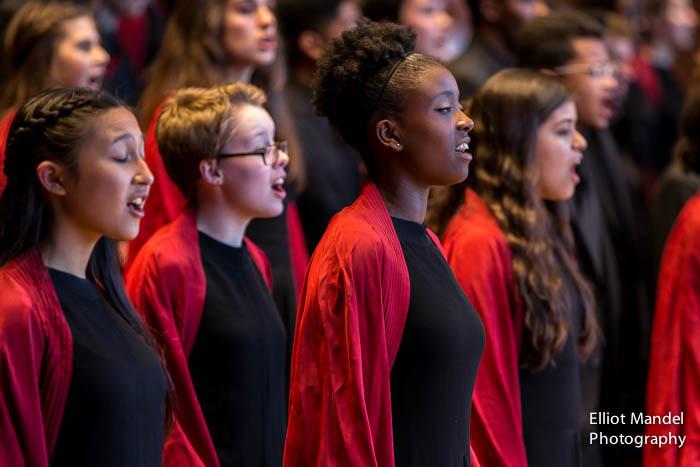 Here are scenes from a nonstop 2-hour concert with the incredible Chicago Children's Choir, directed by Josephine Lee, with soprano Jonita Lattimore, saxophonist Oran Etkin, and drummer Makaya McCraven. All of a sudden, I found myself shooting Schubert and indie-electro-pop with the New Millennium Orchestra. A pretty great night with Maestro Francesco Milioto, Olga Bell, and Chuck Bontrager. Easily one of the most memorable, high-energy performances I've shot this year. 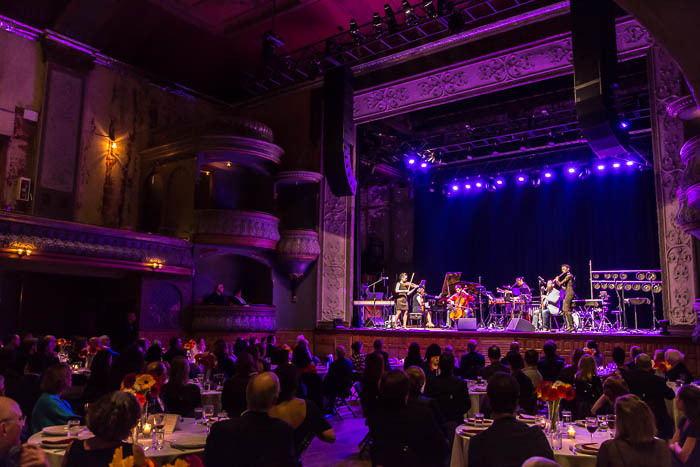 Back in April, Fulcrum Point presented JacobTV's THE NEWS at Thalia Hall. The nonstop "pop opera" is an 80-minute satire of mass media that is a poignant, comical, wacky, trippy, and altogether brilliant mash-up of rhythm, language, melodic fragments, and unreal vocals from Loire and Nora Fisher. Fulcrum Point's 9-piece band included Stephen Burns, Jim Gailloreto, Matt Wifler, Jeremy Ruthrauff, Andy Baker, Karl Montzka, Steve Roberts, Ian Ding, and Larry Kohut. Part 2 of a two-day concert shoot, in which I shot the Chicago Philharmonic's season finale at Pick-Staiger Concert Hall. 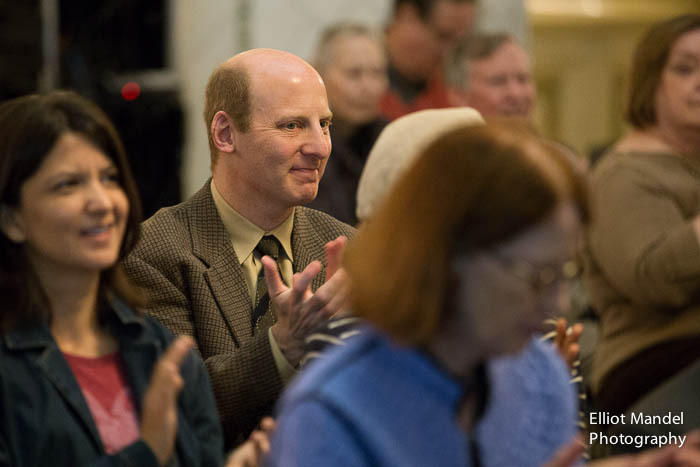 Maestro Scott Speck conducted vibrant performances of Debussy's Prelude to the Afternoon of a Faun and La Mer, and pianist Jorge Federico Osorio played with commanding power and intensity in De Falla's Nights in the Gardens of Spain and Ravel's Piano Concert for the Left Hand. 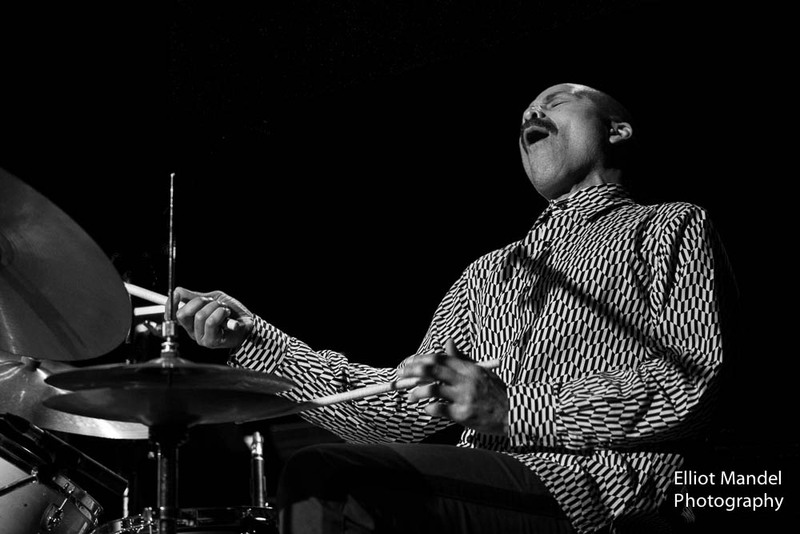 What a thrill to shoot this concert up close. 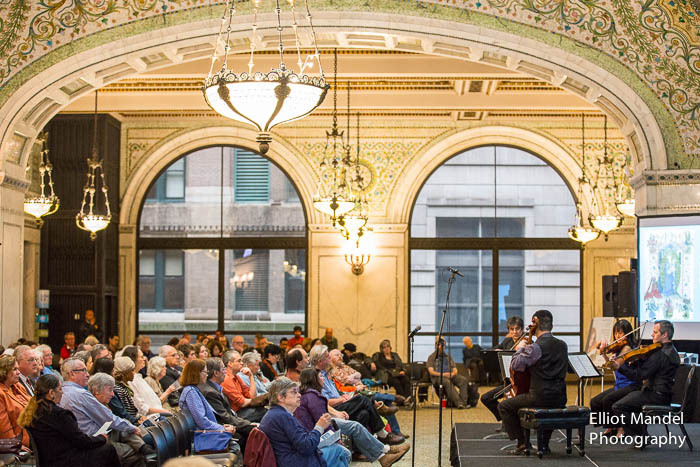 Part 1 of a two-concert day for me, in which I photograph four fantastic ensembles in two hours during the Cedille Records showcase performance at the Chicago Cultural Center. 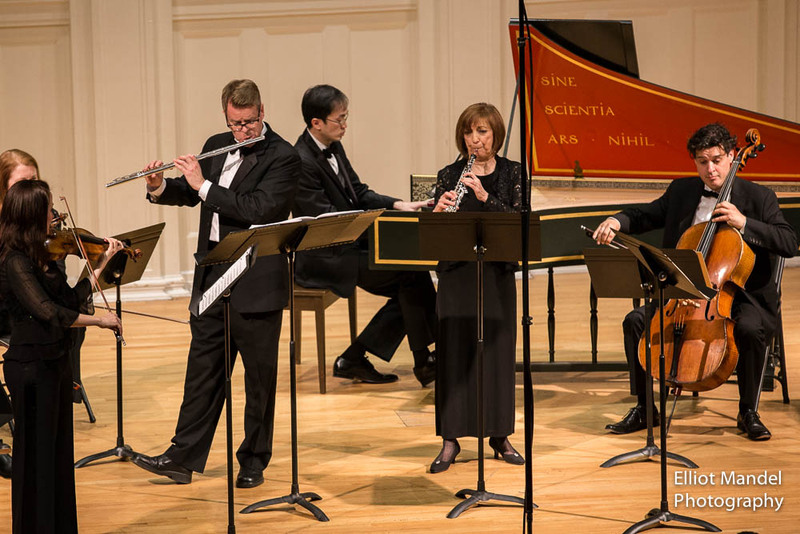 Pictured: Patrice Michaels with bassist Larry Gray, violinist Jeff Yang, pianist Elizabeth Doyle; Fifth House Ensemble with Baladino; the Avalon Quartet performing music by Stacy Garrop; and Gaudete Brass Quintet. Baritone John Brancy and pianist Peter Dugan gave one of the most beautiful and memorable recitals I've had the privilege to shoot. 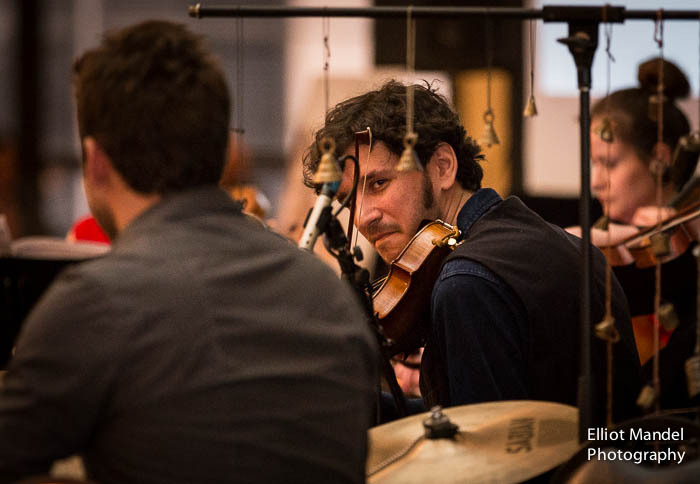 With poignancy and grace, Brancy and Dugan performed a program of World War I British composers against an evening backdrop from the 9th-floor penthouse at the University of Chicago's Logan Center, a venue perfectly suited for the intimacy of the music. 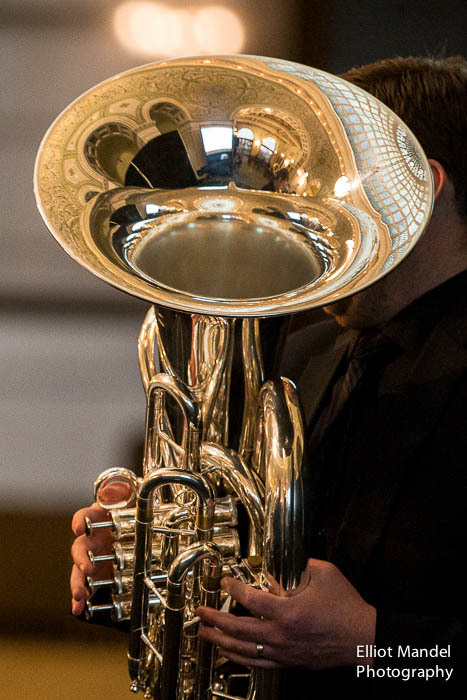 Photographing a concert of Bach music makes me a happy boy, so I was thrilled to have the opportunity to shoot the opening concert of the Bach Week Festival at Nichols Concert Hall in Evanston last week. A beautifully varied program began with Desiree Ruhstrat and Mathias Tacke playing the Double Violin Concerto, followed by the Cantata No. 82 with bass Douglas Anderson. Brandenburg Concertos 2 and 5 closed the concert before a post-concert candlelight performance of early music with Mirja Lorenz (recorder) and Joel Spears (theorbo). Mirja Lorenz (recorder) and Joel Spears (theorbo) perform early Baroque music by candlelight. Joel Spears plays the prelude to Bach's Suite No. 3 for Cello on the theorbo.